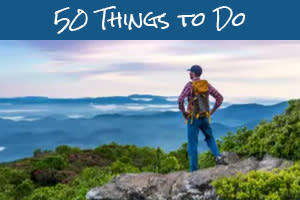 When you think of a romantic evening out on the town in Asheville, what comes to mind? Many of our social media fans tell us what comes to mind is the ambiance of a cozy restaurant, a delicious meal prepared by an award-winning chef and live music. It&apos;s the perfect recipe for romance. Feel the Valentine&apos;s week love well into the weekend with these great offerings in music, food and the arts. Some of the best bluegrass performers in the country rock out this weekend in Asheville at the Crowne Plaza Resort just outside of downtown. 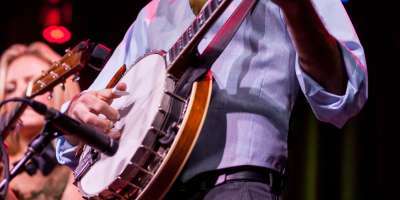 The three-day Bluegrass First Class Festival will feature impeccable harmonies by award-winning singers, and there will be appearances by Bluegrass Music Hall of Famers. You’ll also hear from up-and-coming bands, including Dailey & Vincent. Check out the full schedule of performances. Friday and Saturday (Feb 16 and 17), 8 p.m.
Rock band Umphrey’s McGee returns to Asheville for a two-night stop on the It’s Not Us Tour celebrating 20 years as a band. During the past two decades, the band has released nine studio albums, selling more than 4.2 million tracks online. The performances are scheduled for Friday and Saturday at 8 p.m. at the US Cellular Center. Following both nights of shows, there is an official afterparty with the band Mungion at Asheville Music Hall. While wildly popular Asheville restaurant Chai Pani undergoes a month-long renovation, there’s a pop-up store, Chotta Chai Pani, to feed your cravings! Through Wednesday (Feb. 21), head to Riverside Drive to try a bevy of hit menu items previously unavailable at Chai Pani Asheville. 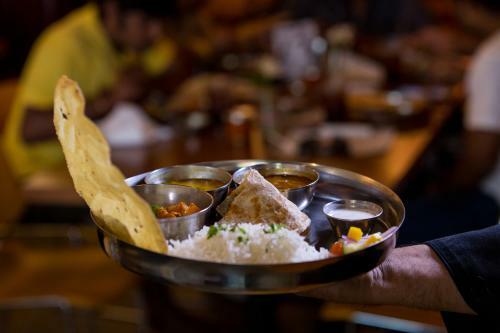 Chai Pani is the work of Meherwan Irani, who owns a restaurant group in town that includes MG Road and Buxton Hall. So, you’ll also be able to enjoy tasty dishes and desserts from those restaurants. The pop up shop is located at 829 Riverside Drive. Keep these feelings of Valentine&apos;s love going this week with a romantic night out on the town in Asheville. 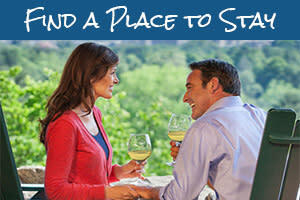 Feel the ambiance and savor the meals at Asheville’s most intimate and romantic places to dine. 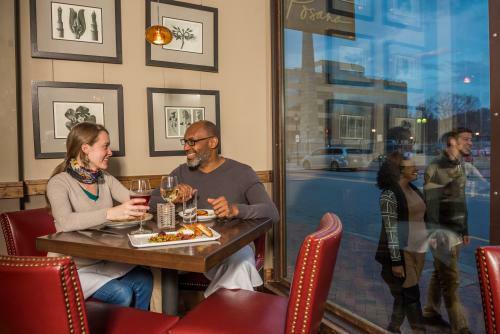 We asked our social media fans to share their favorite date night spots in Asheville. 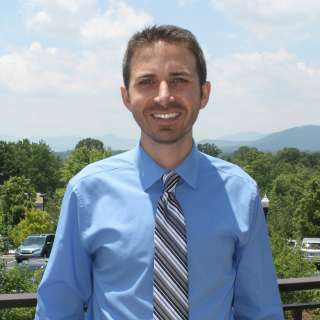 Check out the list they helped us compile of the Top 10 Romantic Restaurants in Asheville. Friday (Feb. 16), 7 p.m. In celebration of Black History Month, Blue Spiral 1 gallery hosts an artist talk with Cleaster Cotton on Friday at 6 p.m. Cotton is exhibiting for the first time at the gallery. Well known in Asheville for her contributions to art, writing, community, projects and education, Cotton will reflect on her journey as a black artist in the South. The talk is in conjunction with the gallery’s annual artist invitational, Into the Blue, which presents artists who have never before shown in the gallery. On Saturday in downtown, the Center for Craft, Creativity and Design hosts a family fun day featuring interactive gallery tours and hands-on art making! The kid-friendly gallery tours will happen each hour on the hour. And there will be treats to enjoy! The programming is designed for children over the age of 5 and their families. The event runs 2-5 p.m. In addition to the downtown arts scene, explore the River Arts District – home to nearly 200 working artist studios. 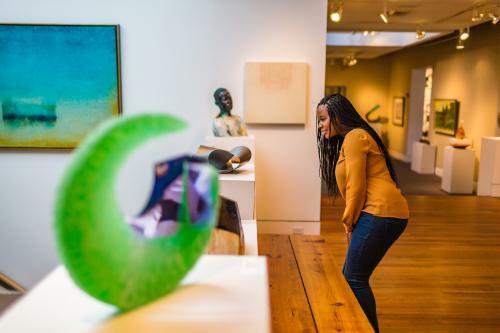 Or, head to Biltmore Village where beautiful galleries abound among the historic buildings just outside of Biltmore Estate.